In a stunning turnaround to statements it’s made for more than 18 months, Arctic Cat announced today that it will offer a Limited Edition Sno Pro 800 H.O. for 2011. Based on the same race chassis as the Sno Pro 600 and Sno Pro 500, but with the 162-hp 800 H.O. shoehorned in, this spring order-only sled will feature Fox Float ski shocks tuned for aggressive trail riding; a 15 x 128 x 1.5-in. track; engine reverse and hand guards. 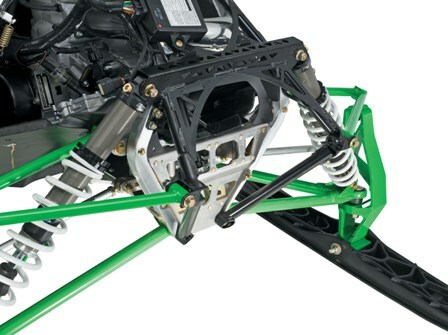 Like the Sno Pro 500, the SP800 LE will feature a standard driveshaft, the old-style plastic skis (to be legal in Wisconsin) and oil injection. MSRP is $16,999 U.S., a number that the company concedes is high, but in line with its projected 750 production run. For more than a year Arctic Cat has admitted that while it’s possible to stuff a 800 into the Sno Pro chassis, it couldn’t do so without significant and costly retooling. The company previously shunned this idea, saying it was focusing on other projects…presumably a next-generation chassis. According to company sources, the new Sno Pro 800 will retain the same body work as the Sno Pro 600/500, but will sport a revised bulkhead, steering post and nose cone. Riders interested in ordering the Sno Pro 800 must decide by the May 1 deadline. They can choose between the standard graphics package or the Joker Edition. Thanks to everyone for sharing in the time-honored tradition of April Fools jokes. For further explanation about such practices, please see THIS. although you had me for a while........."Since that’s roughly twice the horsepower of the Sno Pro 500, we decided to charge double the price"
cruel Sandberg, cruel. Time for spring fever! I hate to admit how far down into that article I read before I realized that I had just walked into a pretty well executed trick...good one John! Funny!! I really did say out loud "You are @#%^^ me!" when I read this. It will be all over the other forums that it is the truth by the end of the day, wait and see. Way to start out the day John. I just called Bristows and they took my $2000 deposit for this sled! I cant wait!! Is it weird they didnt ask me for any of my information? WOW, I want one John. I'll pay with cash money to. I think they dropped the ball for not building a more potent consumer version of Tucker Hibberts machine. They passed up a rare opportunity but well deserved one to make some money. the thing that scares me the most about arctic cat is these days is that the key people with this company like ( and you all know who they are) we all admire and love are not getting any younger... I sure hope these guys can pass the torch. I worry about the future of snowmobiling and even if it has one. Yah not funny, read this last night and about sh%# my pants I was so excited. The unfunny part is that its what AC really should have done for REAL! Got me!! I was about to call someone to find out what the hell was going on. THIS IS EXACTLY WHAT CAT SHOULD BE DOING!!! WE ALL WANT THIS SLED!POLARIS AND SKIDOO WILL GOBBLE UP SO MUCH MARKET SHARE THIS YEAR IT WILL BE TERRIBLE! 2012 BETTER BE INCREDIBLE WITH THE NEW F4!!!! cats not smart enough to build this sled. Damn Captain! Taken Again!!! Im slow stupid! 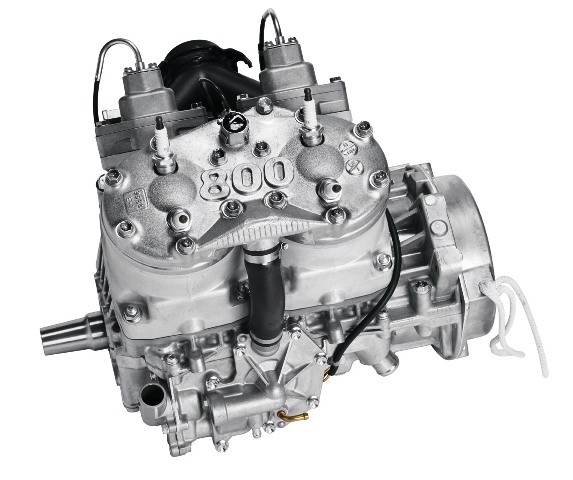 Why just go with an 800, I stuffed a 1000efi, oil inj with priceless performance into my 09 sno pro racer. It can be done!!! I hope you had a good laugh,goof. Let's joke about the fact that Arctic cat cant build a REAL sno pro rocket. Lets make it sound like we actually have engineers..."it is impossbile to fit" bahhh BULL****! If ****ty Birchpoint can slap an 800 in it, cat cant? Thanks to all who shared a chuckle about this dastardly Aprils Fools joke. And sorry to all whose undies are in a bunch. To all of you that are upset about this gag I've got some good news!! It does exist! My dealership is actually putting the 800 HO into the 500 chassis. It is very expensive but it does exist!